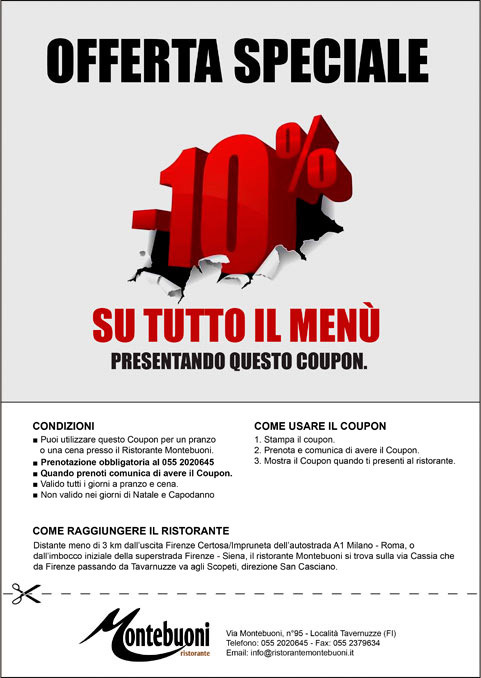 The restaurant Montebuoni has decided to reward all its customers with an amazing offer. The first 100 people who downloaded the coupon and will present at the restaurant with the pdf printed will receive a 10% discount on the whole menu! The offer is valid every day (except Christmas and New Year's Day) for a lunch or dinner.